I was one of those women that always knew that when I had kids, I would be a homemaker. I definitely had an idealized version in my mind of what a stay at home mom would look like. I was sure that I would keep a tidy house, never yell at the kids, even stay in shape between babies … well, you know the story, life happened. Trials came, joys overwhelmed, and I am not that little June Cleaver I naively assumed I would be. What about you? AND … this would be my messy living room one day last week. I definitely could have used a course (or two!) in homemaking. I am not good at it and I didn’t have very thorough training. Where was that course in high school for multitasking with a baby on your hip, three at your feet, all while trying to cook dinner? Somehow in the midst of babies, bills, housekeeping, being a wife, and (for me) running a home business we are supposed to figure out the mysterious and glorious bliss of … BALANCE. There are different seasons in the life of a mom and I am a firm believer that we need to respect that truth and let go of the serious pressure we put on ourselves to do it all, and do it all to perfection. I don’t know about you but all that pressure builds for me until I burst and it is not a pretty site for anyone to see. So how can we manage all those hats in an orderly fashion, without the ticking “stress time-bomb”? I think that we spend too much time as moms getting bogged down with the overwhelming work that is before us, and we forget to step back and come up with a realistic strategy to tackle what we can, and then forget the rest. My very messy kitchen before daily clean up. Depending on what stage of homemaking you are in different things need to be focused on an different times. If you are just starting out and have no children, you will find it easier to keep the house and other responsibilities under control. If you are like me and have a lot of little children running around you have to pick and choose what is a priority and what can wait. As those children grow older you have more help around the house, and once again some of those tasks become less tedious once again. I am in that nitty gritty stage where everything feels overwhelming all of the time. I have too much to do, and too little time. I am learning to FOCUS when it comes to homemaking and I am finding that it is working! 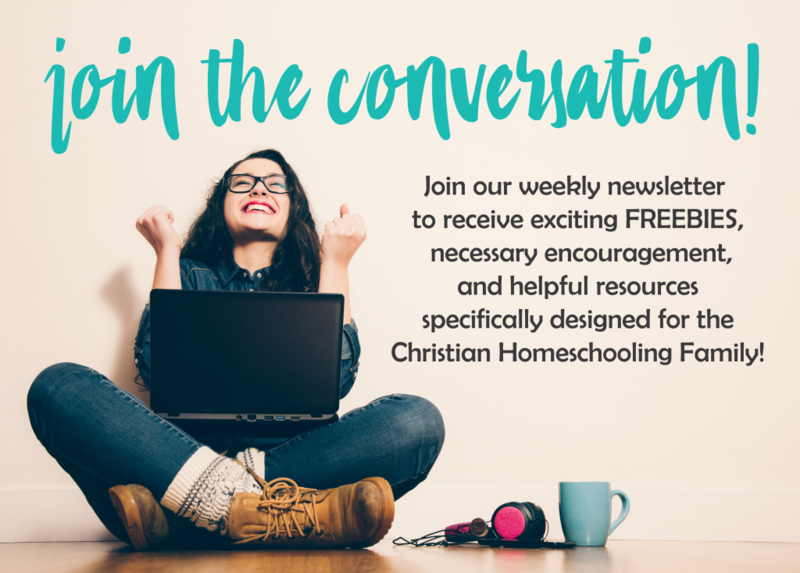 Find the Courage to Ask for Help – I cannot tell you how amazing it has been since my Mother-in-Law has started watching my older kids for one day each week, and one night a month she keeps them overnight. It has rocked my world. I am able to steadily work during this time with minimal interruptions. Do you need help in other areas? Consider asking your husband to maybe take over the grocery shopping, or asking some girlfriends if you can make freezer meals together, or even ask a family member if she might help you get your house cleaning to a more workable place. Own Your Mistakes – It is so important to evaluate yourself regularly. This isn’t meant to be a self-deprecating experiencing. It is important to acknowledge failures, enact change, and move forward, not living in the regrets of the past but looking on to the future that lies ahead. Try writing down those things that need improving on. Talk them over with your spouse and see how you can pray together over them, or even how he can help you to do better. Since I did this my husband has started helping with paying the bills, cooking a meal or two a week, and even doing some grocery shopping for me. Small things like that can make a world of difference not just in your workload but also your attitude. Create a Schedule that Works for You – I tried to follow this popular spring cleaning routine a few years back and was a miserable failure at it. It was too structured for my taste. Write down on paper what your base chores are that need to be done daily and weekly like doing dishes and cleaning the bathroom, then include maybe one to two extra chores that are done less frequently such as deep cleaning the fridge or organizing the toy room. Being able to strategize and prioritize is so important. Are you so behind that you cannot catch up? The dishes can wait for a day. Take one day to not be distracted from catching up on that task that is haunting you. Understand Your Limitations – You are not superwoman! No, seriously, you aren’t. Depending on your season of life you may not be able to take on that extra church function or have your children in a sport. I don’t think we need to necessarily feel guilty about this either. It is better to have a happy home than to have a thoroughly obligated home. Sanity Comes First! A reader wrote me a very encouraging email one day and in it she included that she was a mother of a very large family. I just had to ask her how she has learned to deal with all of it. Her advice was to do those things that will cause less stress – mainly minimize! I struggle with the laundry so she encouraged me to minimize our closets and drawers. If you struggle with dishes maybe have only one set of dishes per person because then you are forced to clean up right after and there is minimal mess. What if you struggle with keeping toys in their place? Get rid of some! Either give them away or set them aside in totes and swap sets of toys out every couple of months. There is no reason for you to be sacrificing your sanity for the sake of possessions. Through Christ we can do anything! The Lord called us to be homemakers. He gave us our homes to manage and our children to raise. He ordained that we were the right person for this job. That is a HUGE responsibility but it is a reassuring blessing as well because God does not start any work that He does not finish, and Ladies, we are a work in progress. I encourage you to focus on setting a better tone for your home. In the long run all the things that we get so worked up about won’t matter. Dishes will always be there. A floor needing to be swept will always be there. Put down the broom and love on your children. Take a moment to breathe and enjoy the life God has blessed you with. It is time to take back your home and focus all that “stress energy” into productive energy. I know we can do this together! 4 Prayers for the Hyper-Aggressive Child and FREE PRINTABLE! This blog hop is a blessing! Even the post titles are encouraging. My laundry DOES live in baskets, and I DO struggle for balance. Thank you for reminding me what is most important: God, my marriage, and my family. Be blessed! Thank you for real pictures of a real house! Add a couple buckets of toys to your living room, and that is mine almost all the time! I tell myself it’s a season since I have only little kids at this point. Having company is good motivation to clean!